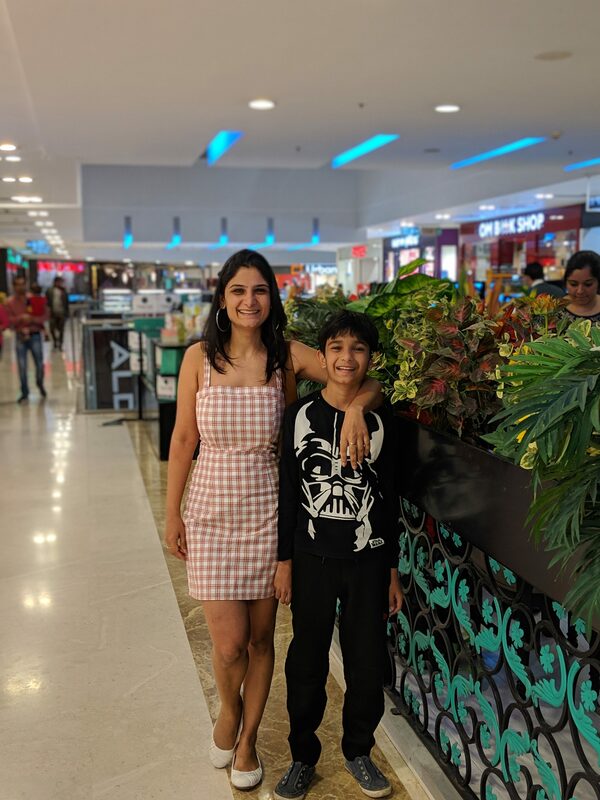 We recently went to DLF Mall of India, Noida for Kabir’s birthday shopping and it turned out to be a perfect one stop destination for a family outing. And I’m saying this when I’m not really fond of going to malls. But I guess what really helps is the fact that the mall is really big so one can never feel claustrophobic there. Also of late, I’ve been avoiding going outdoors much because of the notorious pollution in Delhi and the smog during winters. 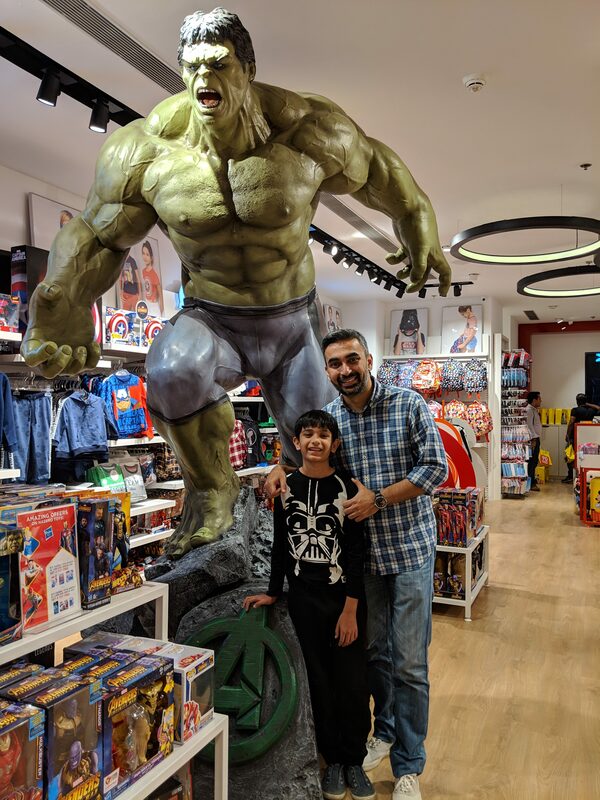 Our first stop was undoubtedly Hamley’s as it was his day after all. That smile which lit up his face made my day J. I saw his elation as his eyes landed on the Lego section. But the staff there quickly involved him in making his own kaleidoscope (which he got to take home too) and various other stuff like skates, boomerangs etc. He picked up a really tough-to-make Lego technic set for his birthday gift. The customer service at the store was delightful. 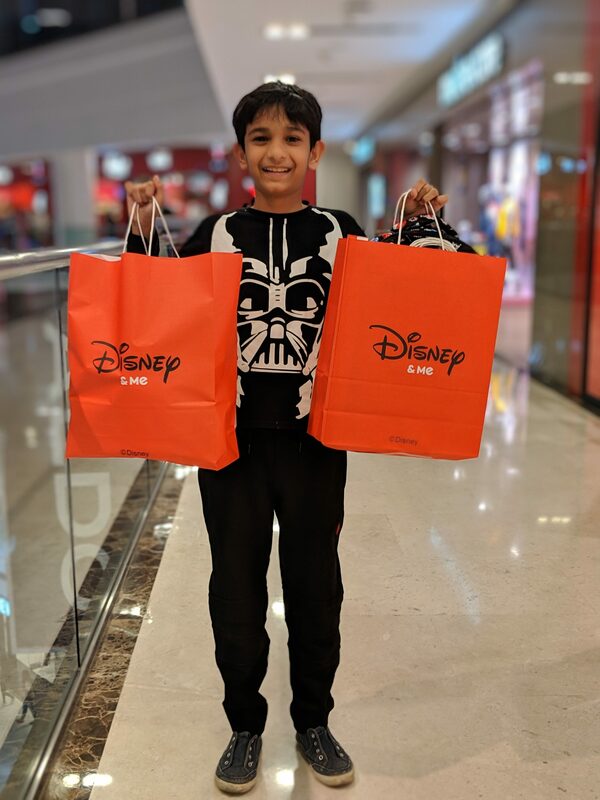 With his birthday gift sorted, we went to Disney’s to pick up return gifts. 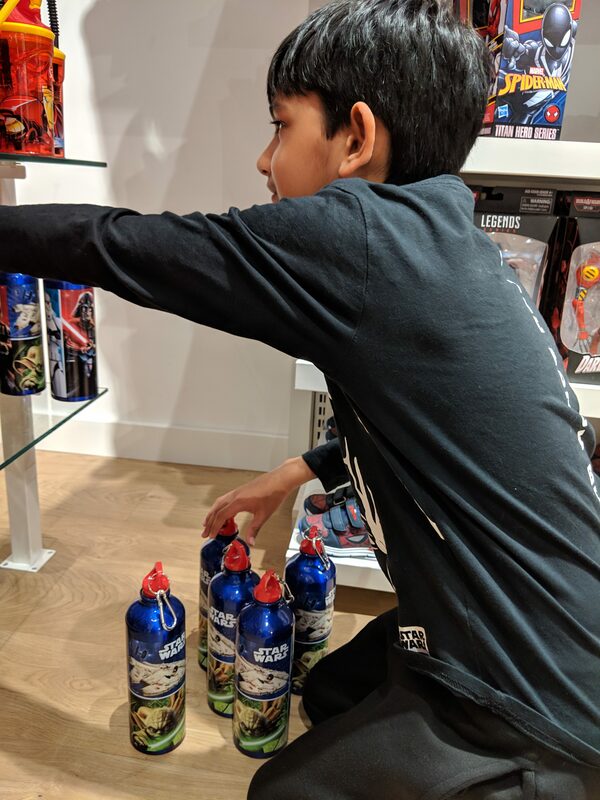 Kabir went on to pick some cool Star Wars sippers for his friends (which turned out to be a big hit too). He was tempted to pick up Star Wars Lego set but just sighed and said, “next time”. We took a mini chai and vada pav break at Soda Bottle Opener Waala. The mall has some really good options for cafes, restaurants as well as a huge food court. 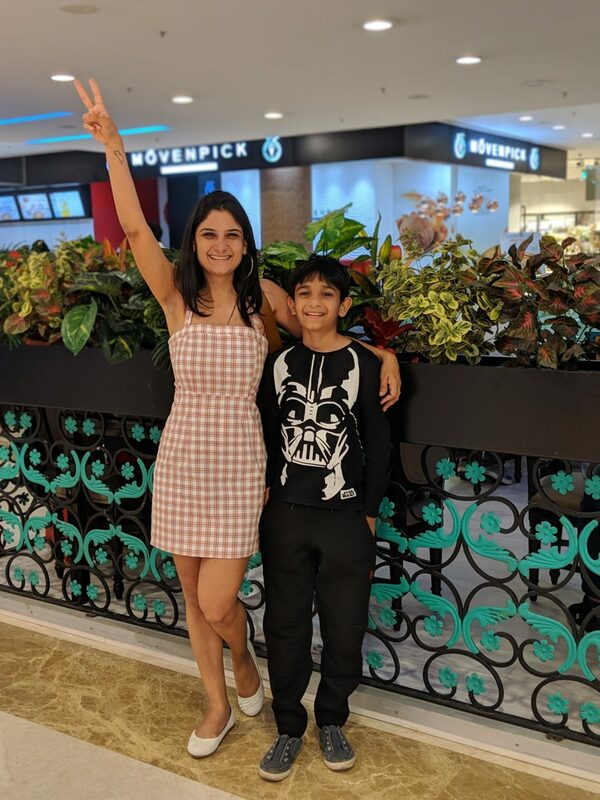 Kabir wanted to head to Smaaash for bowling right away and I had to drag him to Zara to buy some winter wear and now he lives in his Bartman tee that we picked up! So, we did go to Smaaash later and ended up spending couple of hours there. And every time, I do something like this, it’s a reminder how much fun it is to be child-like with your child. We ended our day with a hearty dinner at Chili’s. And I can’t wait to spending another such day with Kabir again. 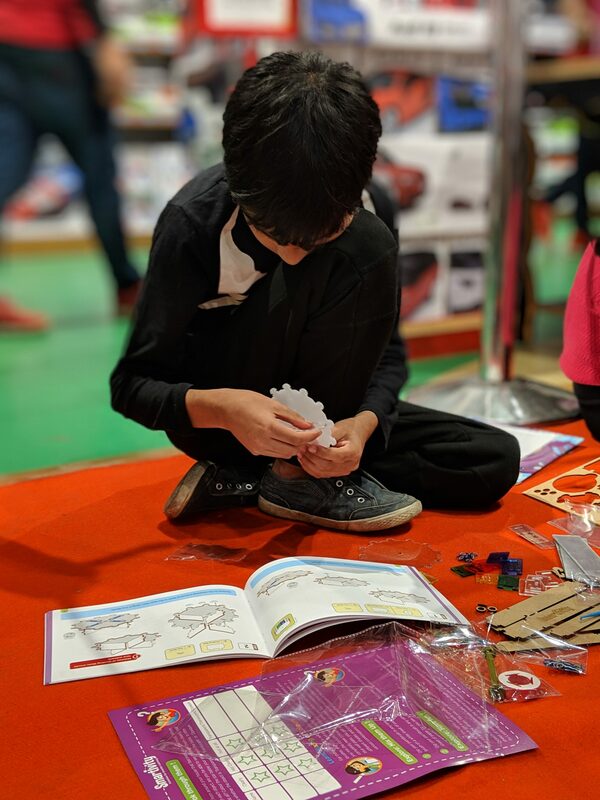 PS – The Funtastic festival at DLF Mall of India has various events, activities, and sales at the best of brands, lined up throughout until the end of December. So, if you are in this part of the country, do drop in.